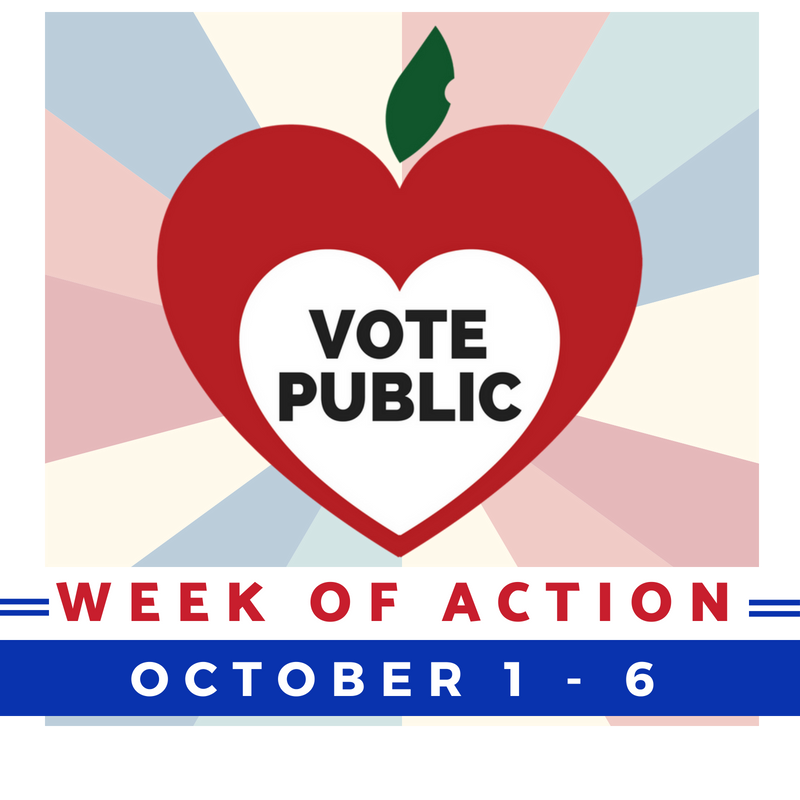 #VotePublic statewide Week of Action is Oct. 1-6, 2018! We call on all local teams, districts, and organizations to coordinate actions and help us amplify them during this week. Whether you’re holding a forum or writing postcards, sharing candidate information or getting to know where candidates stand, you can be part of this week of action! Our goal is to spread the I LOVE MY PUBLIC SCHOOL AND I VOTE message statewide during this week – and to inspire actions that will continue through November 6! Let’s blast our local papers with letters to the editor during this week, and let our communities know we support strong public schools! See our facebook page for shareable graphics – updated all week long! Making public education a focus at the local level by knowing where candidates stand on the issues, and making sure voters know what’s at stake for our schools in every election. Getting out the vote to make sure candidates who support public schools are elected to keep their campaign promises! 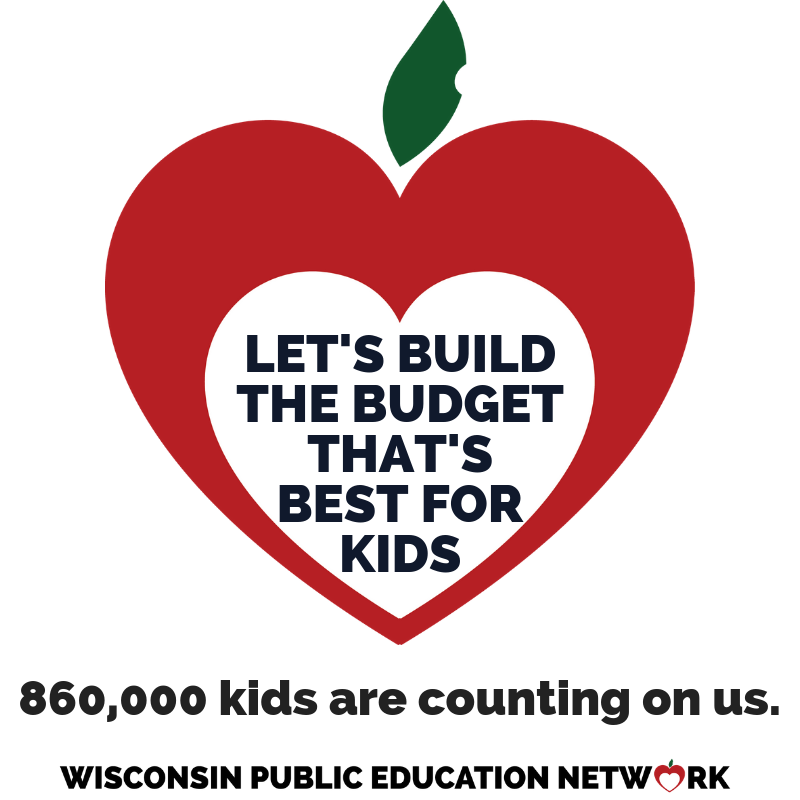 Holding decision-makers accountable, once they ARE elected, for votes that benefit the 860,000 children attending Wisconsin’s public schools! VOTE PUBLIC is a non-partisan campaign that calls on ALL voters and candidates to #VotePublic. 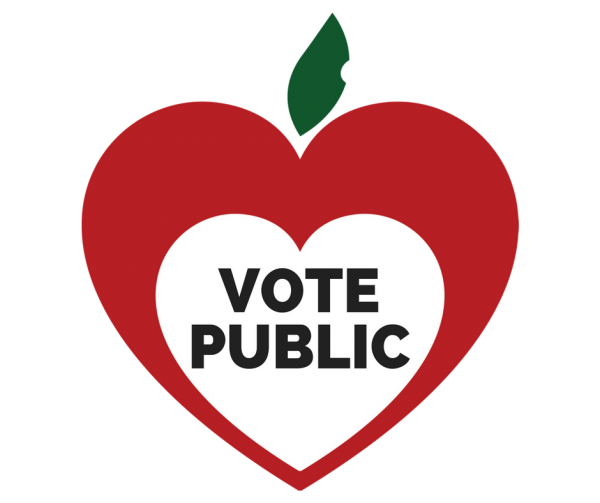 Check out our Vote Public HQ for more ways to spread the love and keep your community informed and engaged on the issues that matter most to local students & schools! DAY ONE: TAKE THE #VOTEPUBLIC CHALLENGE & CALL ON OTHERS TO DO THE SAME! 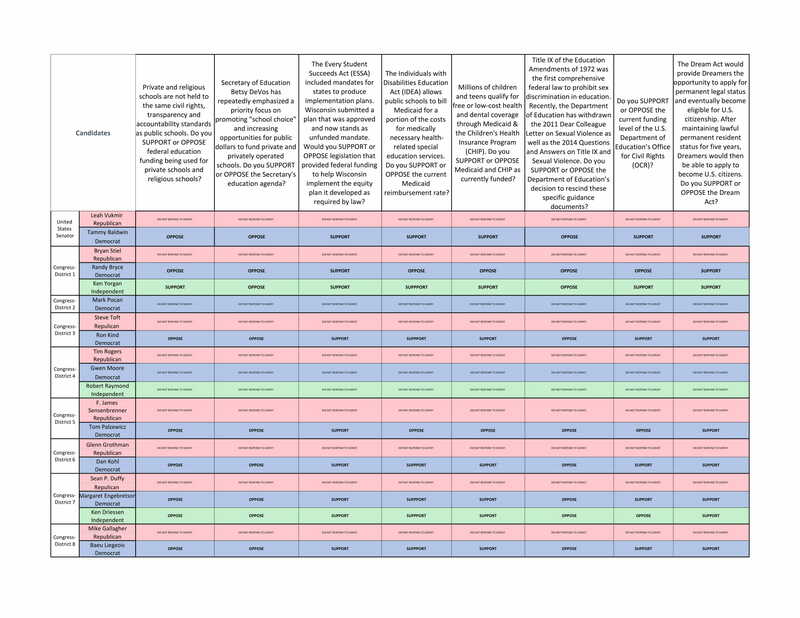 CLICK HERE to download the printable template for a simple quarter-sheet “pledge card” that says I LOVE MY PUBLIC SCHOOL & I VOTE on one side and lists 5 priority considerations for decision-makers on the other (summarizing the major themes of testimony heard at the Blue Ribbon Commission on School Funding hearings). PRINT & SMILE! Print the card and take a selfie with it – OR – take photos of others with their pledge cards! SHARE the image widely on social media with the reasons YOU are voting public on Nov. 6 (Use hashtag #VotePublic(tag your friends, your lawmakers & @WisconsinNetwork on facebook & @WiscEdNetwork on Twitter). Keep the momentum going all week by sharing out the posts of others, too! AMPLIFY your efforts! Keep a stack of cards on hand from now until the election! Call on lawmakers to take the PLEDGE PUBLIC challenge, too! Deliver a hard copy of the pledge card and ask lawmakers to take a selfie & display the card in their office! Then call on your friends to do the same! Find shareable new graphics all week long in our facebook album. Whether you vote TODAY or on Election Day (Nov. 6), get informed and make sure you have what you need to register, vote, and cast an informed ballot that supports strong public schools statewide! And kick off today’s actions by sharing this helpful graphic. #VotePublic is about more than just “transactional” get out the vote (GOTV) efforts. We aren’t advocating for a party or for specific candidates – we’re calling on folks to vote their values when it comes to public education. This means we need to connect at the heart level with our friends and neighbors and urge them to #VotePublic. We challenge public education supporters to connect with 5-15 people they know between now and the election to open up conversations and get commitments to Vote Public. Take the Heart to Heart Challenge to get an entry into a #VotePublic merch drawing! Heart to Heart Challenge aka RVP! What is RVP? RVP stands for Relational Voter Program, a campaign to build and build on relationships you already have to reach shared goals. RVP is connecting at the values level with people you already know, getting them to pledge to #VotePublic! and then following up to make sure they made it to their polling place! Give them some pledge cards and then they can hold their friends accountable too! Its essentially a pyramid scheme for democracy! This is a GREAT way to get involved and start building a network of advocates even if you do not have a group in your area to get involved in! What is the Heart to Heart Challenge for Action Week? Have a conversation- phone, text, face to face- about voting with a friend, family member or even acquaintance who may not be voting in the upcoming election. There will be more than you think! Try to have 5-15 of these conversations. Be serious. Make a list of the people you want to talk to and take notes. Get their email or contact information if you do not have it so you can follow up. Important things to take notes on include: When did you talk to them? Did they take the pledge? Do you need to send a follow up text or have a phone call in a couple of days? Bonus points if you can make your pyramid bigger by getting your friends to talk to their friends! This is a great ask of someone if they are already registered and ready to go! But who should I talk to? Some ideas of who might be in need of some of that democracy spirit! Bonus: Reach beyond familiar faces to make new friends and learn more about the culture and community you are connected with! Nieces, nephews, children, grandchildren or any other college age people you know who may have recently moved and either need to register or request an absentee ballot. Facebook friends! Take a scroll through your list, there will be a ton of people you did not think of! What do if someone on my list is not registered or they do not know if they are? If anyone need resources for voting direct them to myvote.wi.gov! You can register to vote online until October 17th! FINAL TIP: If someone does need to follow up with an action item (i.e. registering, obtaining an id etc.) and you are physically with them do it RIGHT THERE! If you are on the phone or text, it is a good idea to follow up with people a couple of days later to check in. But Wait! How do I win that sweet merch prize and what is it? If you are willing to reach out to 5 or more voters, you’re in. Just comment on this facebook post “I’m in!” or reply by email hdb@wisconsinnetwork.org if you do not have facebook! Once you have done that you will be entered into a drawing to win! Prizes include bundles of #VotePublic buttons and stickers that you can give out to people on your list to get them excited about voting especially if it was their first time, and a couple of “I love my public school and I vote” shirts! Non-partisan reminder: WPEN is a non-profit 501(c)3 organization and does not take part in electioneering. This campaign is not about convincing voters to vote for a specific candidate. We do not endorse or promote candidates in partisan races, but we encourage people to vote and be informed! DAY FOUR: YOU SAY YOU WANT A RESOLUTION? IT’S LOCAL CONTROL THURSDAY! We urge public school supporters to take time today to encourage local boards to speak out and demand the change our students deserve. One of the ways we can be most impactful in this moment is in a united call to increase the state’s funding of special education costs. One of the things that the Evers budget starts to fix is finally increasing support for students with disabilities. Right now, according to state law, a student with a disability in a private school is worth at least a 90% reimbursement while a student with disability in a public school is only worth 26%. If a 90% reimbursement rate comes standard for a voucher student with a disability, then it should certainly be the standard the state lives up to for public school students as well. 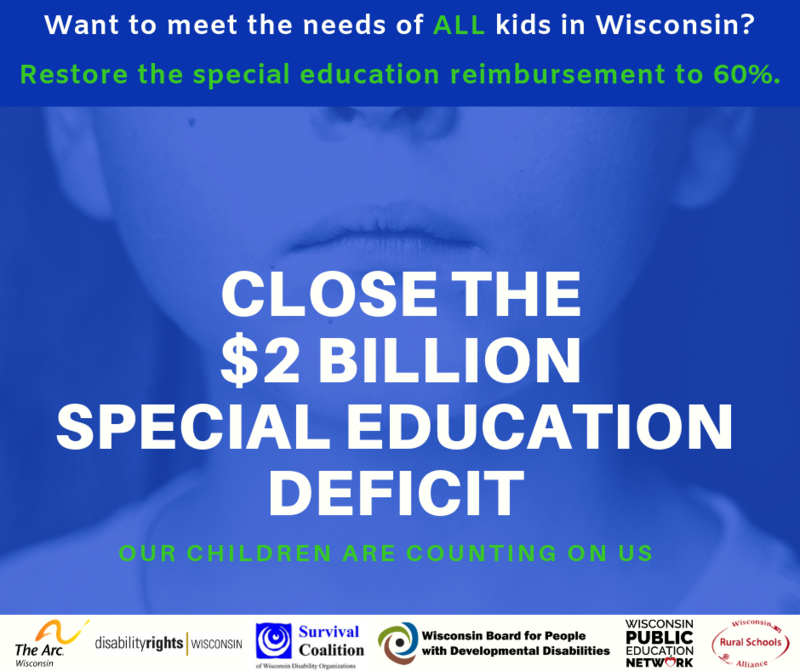 School boards around the state have already passed resolutions calling on the state to meet the 90% mark for public school students with disabilities, take action and ask your board to do the same. Click here for sample resolutions and share them with your board! Click here for the WASB’s Boards Taking Action page – a great starting point for discussions of how YOUR board can join forces with community members, parents, and educators to be stronger advocates for public schools! 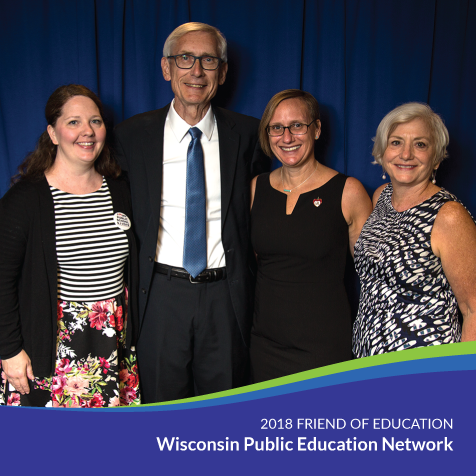 If we’ve learned anything at Wisconsin Public Education Network over the last few years, its that LOCAL ACTION WORKS. When local communities support locally elected boards and school leaders and we all come together to send a united message to our own locally-elected decision-makers….they listen. If you’re ready to take this challenge seriously, we urge you to reach out to your own board members to pass resolutions that will make a real difference for our students and schools. 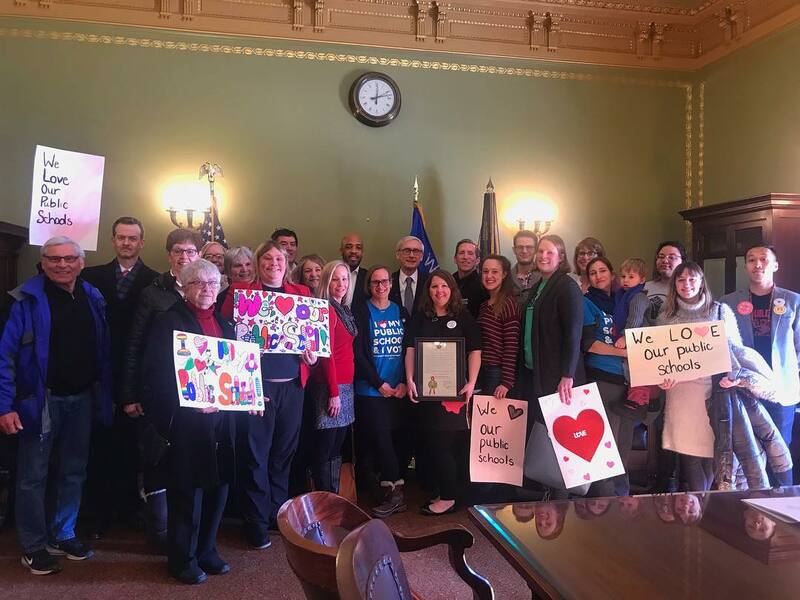 We have seen in previous legislative cycles that strong resolutions drive policy at the state level and give us solid footing for amplifying the needs and concerns of statewide partners and calling on lawmakers to do the right thing for children. WE CANNOT DO THIS WITHOUT YOUR LOCAL LEVEL ACTION. Looking for a good place to start? Our Top 3 Resolutions echo the #VotePublic mission of ensuring that our schools have the resources to ensure every student has equal opportunity to succeed, and that our schools are funded in a way that is transparent and fair. 1) Special Education Reimbursement. Districts all over the state are demanding fair funding to meet the needs of children with disabilities. See those resolutions here. BOOKMARK THIS RESOURCE! CHECK OUT THIS FANTASTIC MAP from MPS that shows what a 90% reimbursement rate looks like, and indicates (in yellow) the districts that have already passed resolutions supporting that level of state support for local students! 2) Voucher Taxpayer Transparency. This resolution calls on the state to be open and honest about how much of the local property tax bill is being siphoned from public schools to fund private school tuition vouchers. See the Stevens Point Area School District’s resolution here. 3) Protect Local Control! Many bills put forward in recent legislative cycles have had a direct, negative impact on local control, including how and when districts can go to referenda. Check out this sample resolution from the Eau Claire Area School District and urge your board to stand up for local control of local schools by calling to end and repeal unfair referenda restrictions. Want more ideas? Visit the Wisconsin Association of School Boards (WASB) Boards Taking Action page! Many parents and voters know that our schools are in trouble, but aren’t sure how – or why – or what they can do about it. Let’s connect the dots today by sharing out our own reasons for voting public, emphasizing concerns we share at the state level, and concerns that impact local students where we live. 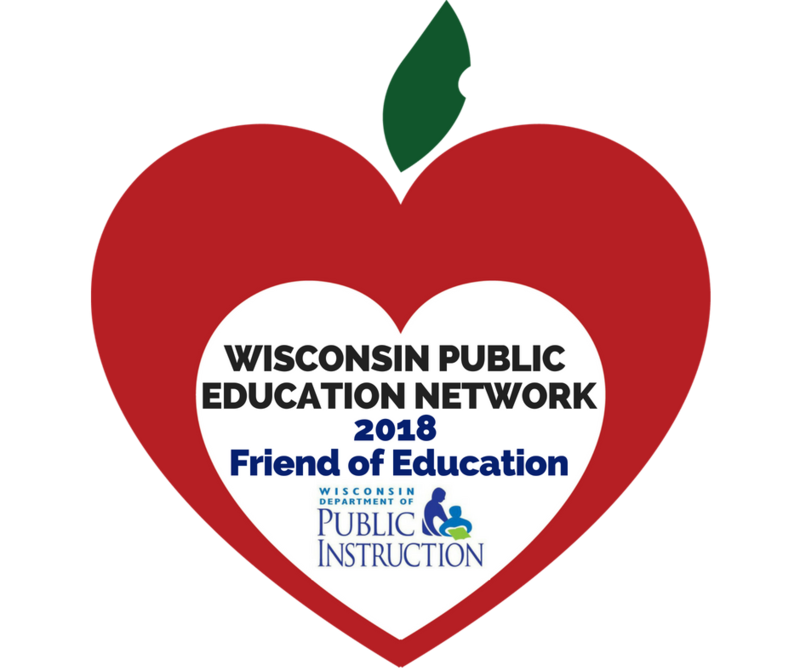 Follow Wisconsin Public Education Network for resources to share all year long! We know that public schools are the hearts of our communities, and we know what’s at stake if we don’t support those schools. Parents know it. Teachers know it. The citizens and school leaders who testified all over the state at budget and Blue Ribbon hearings know it. People who are voting to pass referenda​ know it. Gillette school board member Cliff Gerbers really, really knows it​. Today’s action is making sure EVERYONE knows it. 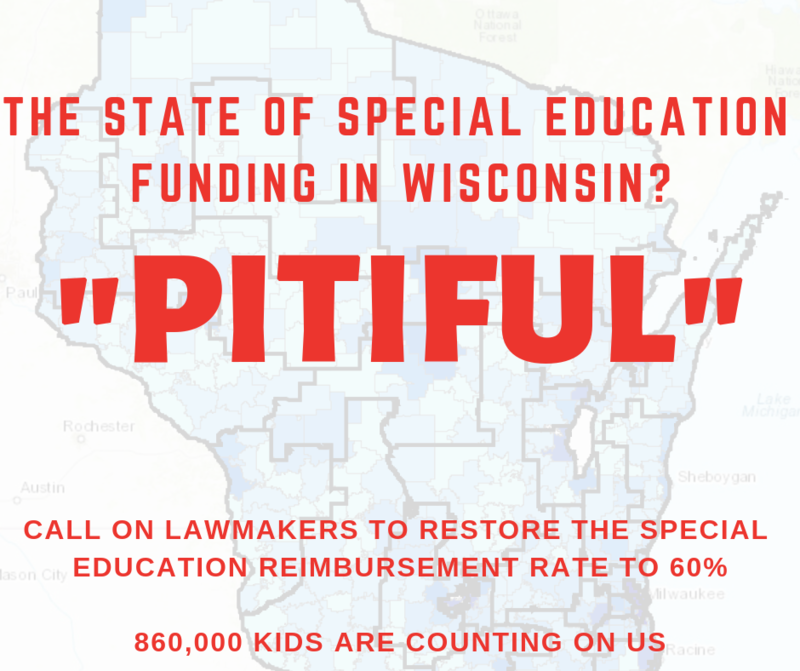 There are many good people in Wisconsin who share vague concerns about the current funding situation and the future of our public schools, but aren’t sure what’s really going on or what they can do about it. We’ve made a short list of the Top Ten Reasons to #VotePublic on November 6 – and it wasn’t easy to narrow down our list to ten things. One free, easy, simple thing YOU can do today is share this list​ with your friends and neighbors, and share YOUR #1 reason to stand up for thriving public schools – at the ballot box and beyond. Bonus action: tag us on social media and we can help amplify your message! Let’s keep the reasons coming from now until November 6! Today’s free and easy action is a simple one: spread the love. Wherever you go, and whatever you do today, send the message: I LOVE MY PUBLIC SCHOOL AND I VOTE! Take a share a selfie (wear your #VotePublic or #GoPublic shirts or buttons if you have them, or your school spirit gear), and jazz up your facebook profile picture with this awesome frame! Need an I LOVE MY PUBLIC SCHOOL shirt for yourself or your team? Order here! Thank you for the big and little ways you are working to make public schools a focus of your local elections, and for holding decision-makers accountable for doing the right thing for our students & their public schools!